US gains 223K jobs; unemployment at 18-year low of 3.8 pct. 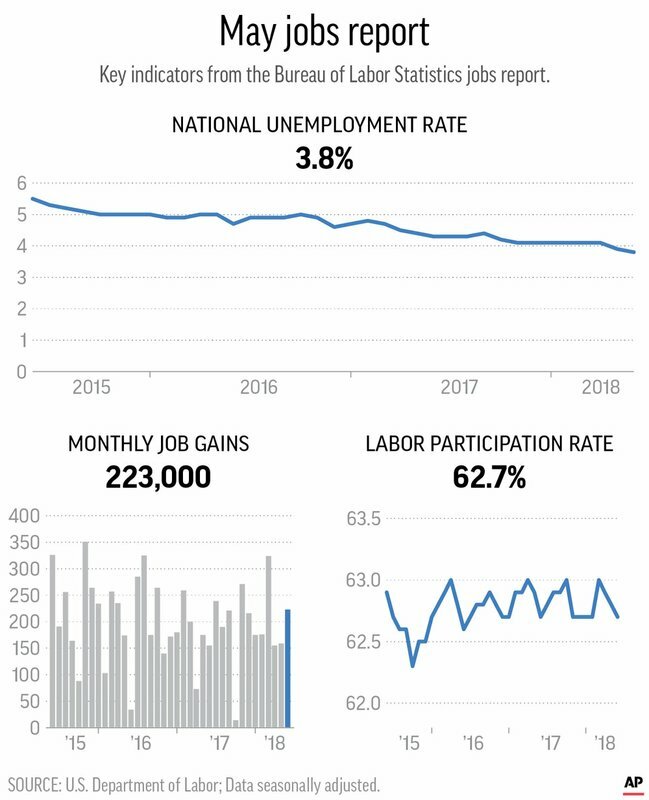 Graphic shows national unemployment rate, job gains and labor participation rate in May. Manufacturing added 18,000 jobs and construction 25,000.